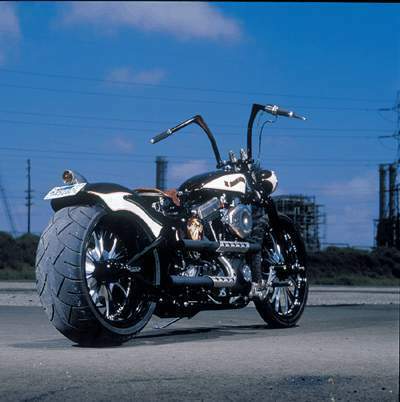 Roland said "The Borracho was an experiment on how far RSD could go with a stock 03' Softail. 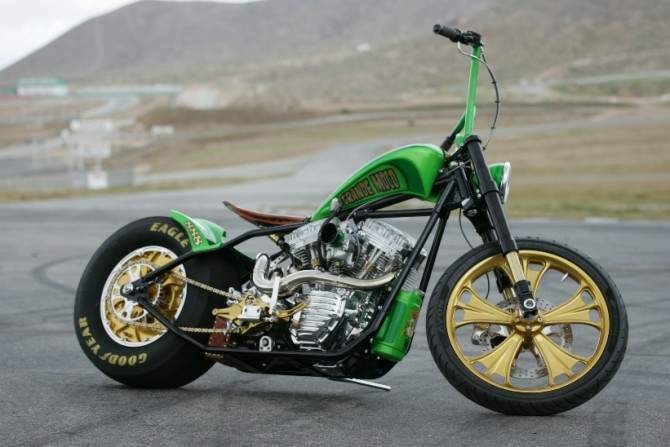 We were attempting to make it look as old as possible while keeping frame modifications to an absolute minimum. The Borracho theme came after many nights of drinking and pondering what and why we were doing this. Initially it was a real pain figuring how to do the spring seat, battery hold, gas tank mount set up. We wanted it to be as clean as possible without any frame mods. 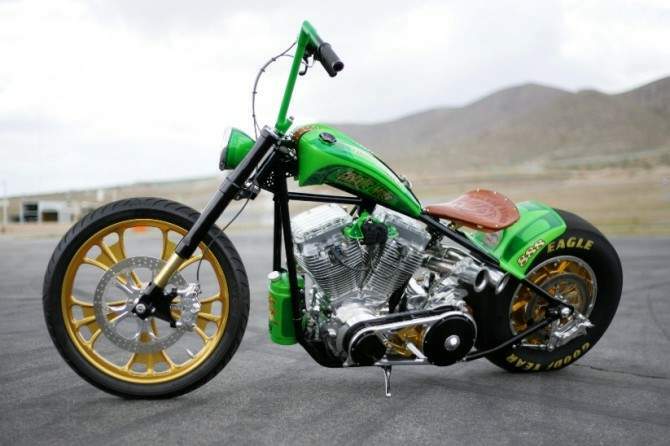 A big problem was the bulkiness of the frame as it's usually hidden under fat bob tanks. The use of the Flattrack gas tank required us to make a frame cover that also doubled as the seat mount/key mount and wiring cover. This whole set up was a struggle but it ended up working really well."